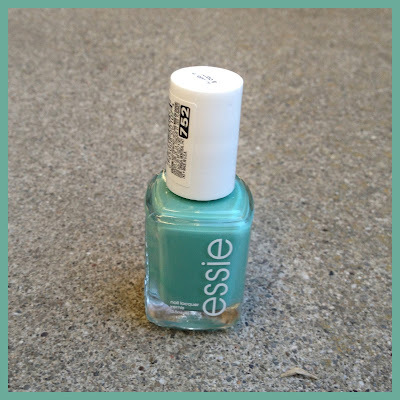 What I Blog About When I Blog About Books: NOTD: Essie "Turquoise and Caicos"
Today's notd is a tried and true Essie polish, "Turquoise and Caicos." "Turquoise and Caicos" is, as it's name suggest, a turquoise color. The finish neither a true cream finish nor a true jelly finish but a mix of the two. I really enjoy this type of finish on a summer polish. It has a lighter weight look without being too sheer. This was one of my favorite polishes two springs ago. I used it all the time that now about half the bottle is empty and the polish is slightly goopier. As such, application was a bit frustrating, but I was still able to get opaque coverage in 2 coats. If you don't have this Essie polish than I am rather shocked. 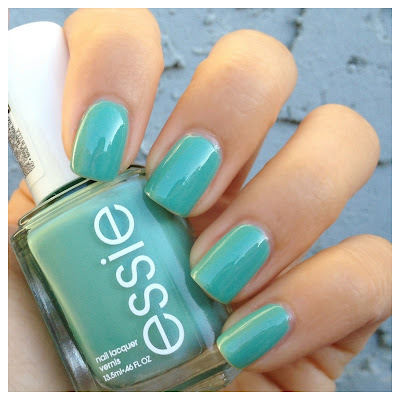 It is definitely a staple of the Essie spring line! 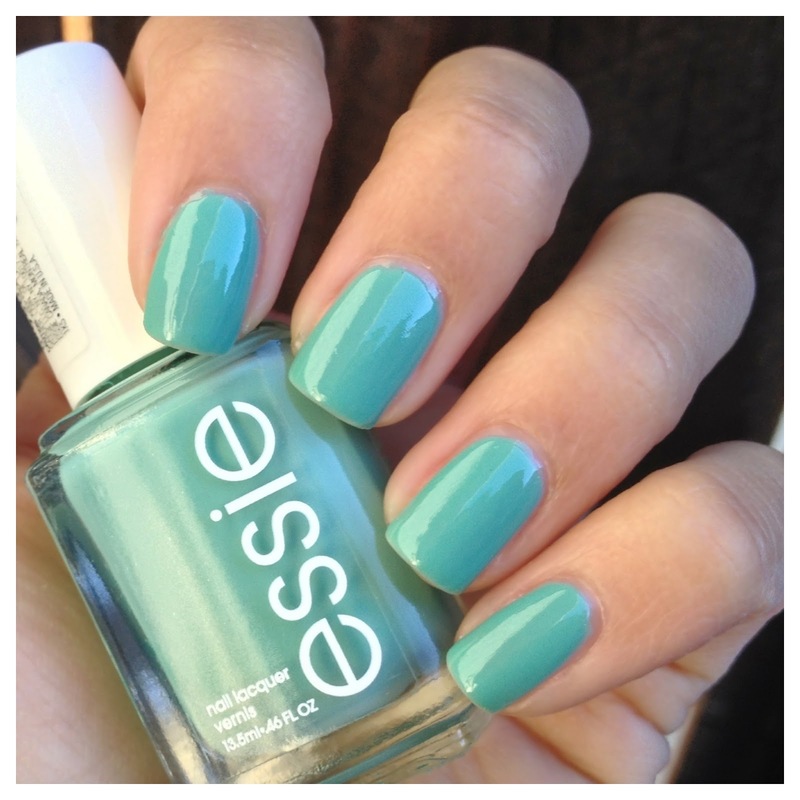 xD "If you don't have this Essie polish than I am rather shocked." So true! Unfortunately, I only think it's opaque in two coats for me because the polish itself is about 3 years old and has gotten thick. Thicker = more opaque. I'm pretty sure it used to take me 3 coats though.